An incident that began with a missing dog has resulted in a man facing counts of arson and assault causing actual bodily harm. 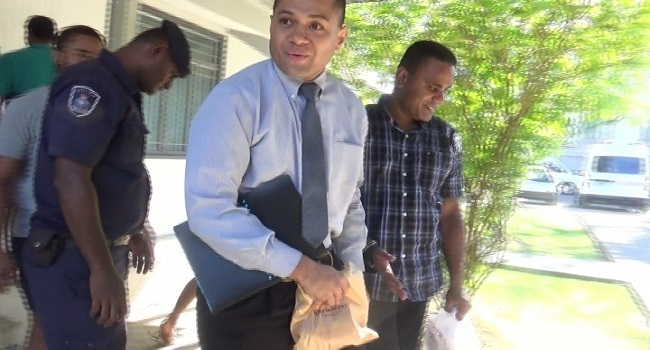 Twenty-nine-year-old Jone Vakarisi pleaded not guilty to both charges in court yesterday. The incident occurred on September 5th of last year. Jitendra Kumar, who testified that a friend questioned him about his missing dog and accused him of stealing the animal. Kumar said he went to his friend Aman Singh’s place in Raiwasa, Suva at around 11pm where Vakarisi soon arrived asking about the missing dog. Kumar told him he had purchased the dog from Micheal Ashley and testified that Vakarisi threatened to kill him over the matter. Kumar then accompanied Vakarisi to Ashley’s place in Kinoya, Nasinu, where no one was at home. Kumar testified that after a while, a boy entered Ashley’s house through a window and opened the front door where Vakarisi and the others entered and started collecting valuable items from the house before Vakarisi lit fire to the mattress. Kumar said he later left with Vakarisi, thinking that he would drop him to his Aman Singh’s place in Raiwasa, Suva, however, the witness said he was taken to Mead Road Housing in Nabua where Vakarisi and two others allegedly assaulted him with an iron rod and a pinch bar. He said he was bleeding from his head and was told by Vakarisi not to allow any single drop of blood to fall in his car. Kumar later found his own way to the Valelevu Police station where he lodged his complain.